Testing and measuring equipment increases your ability to get the job done to spec, safely and according to your industry's compliance standards. With applications in every industry, Kennards Hire has testing and measuring equipment for hire to suit every job, whether you're working in mines, on the railway or at a concert. There's nothing worse than tiles that are out of plumb, or door jambs that are set askew, but there are much bigger iterations of these problems. If you work in office outfitting, construction or machine installation, you know the catastrophic consequences of mistakes in alignment. Products like the PLS4 plumb, square and level laser can keep your job lined up while you work on it - ideal for electricians, plumbers and other interior fitters. Other laser options are available, including green lasers for heightened visibility and handheld guides for extra convenience on the work site. 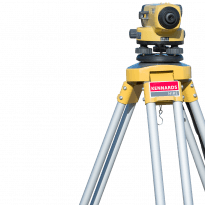 Bolt measurers ensure perfect alignment of nuts and bolts, but if you're measuring in metres rather than millimetres, Kennards Hire has solutions for that too. 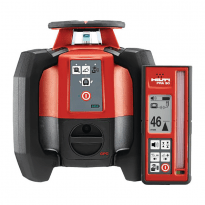 A GPS-based distance measure is ideal for high accuracy distant location measurement. Capturing photographs and GPS locations of targets up to 300m away is an absolute cinch with its integrated laser rangefinder. For those working in mines, rail tunnels, factories or any other hazardous environment, proper environment monitoring is essential to occupational health and safety. 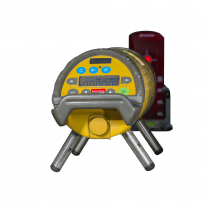 Kennards Hire keeps your crew in the loop with environmental meters, ground penetrating radars, moisture meters, electrical test and tag units, ultrasonic leak detectors and multi meters that combine a lot of these functions. If you're working a gig that requires noise control or crowd control, you'll be thankful for Kennards Hire's supply of sound level meters and breathalysers. With these tools at your disposal, keeping that concert under control will be a lot easier and safer for all involved. These also shouldn't underestimated for their role in random workplace safety tests. Whether you're laying pipe, pulling cable, breaking earth or wiring up new connections, the problem is the same. Without visibility within the pipe or networked system, you can't safely cut, drill, pull or dig. Kennards Hire has an extensive supply of the latest in pipe cameras, pipe/cable detectors and locators, pressure testers, sludge measures and more. Never work in the dark again - with these tools in your bag, you'll know exactly what's around the bend before you get there. There are so many important metrics in any job that some tools just don't fit in any specific category. Don't worry, Kennards Hire has those too. Aside from the traditional levels and walking measures, you can find all sorts of other detectors and measures at your local Kennards Hire store. Everything from tractor cameras to metal detectors and everything in between. 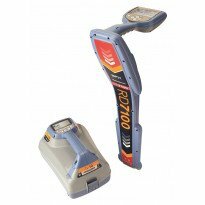 Thermometers, dew point gauges and other air testers are available for hire, as well everything that probes the ground and walls, from test hammers to thickness gauges. Kennards Hire is proud to have the latest and best equipment available for hire. Consistently serviced and maintained, you know you're only going to get the best when you come to one of our lots. When new equipment becomes available, we make sure to buy it so you don't have to. With so many different tools, measures, gauges, levels and meters on the market it's impossible to keep them all in the workshop. Take advantage of your local Kennards Hire and stock up on what you don't have when those particular jobs come around.